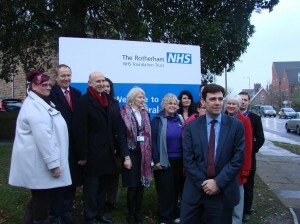 Before Christmas it was announced that the running of the hospital would remain in Rotherham and the hospital would not merge with another. Despite this welcome decision the hospital still has to save £10.3million this year, at the start of five years of cuts that could see the hospital lose as much as a fifth of its budget. 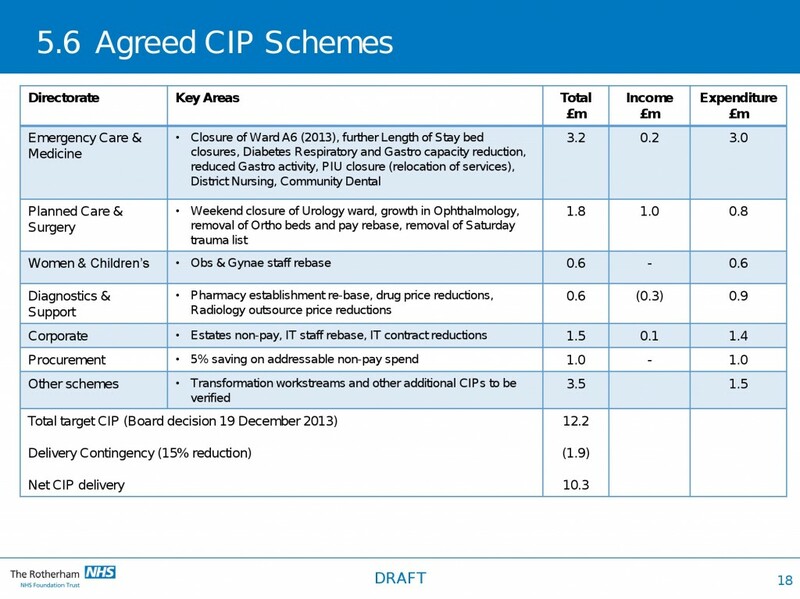 The hospital has now published its five year plan (here) that shows the details of how this money will be saved. The most relevant page is reproduced above. This year the plans show the closure of beds, weekend closure of a ward, reduction in diabetes, respiratory, gastro, district nursing, and community dental services. Our campaign will continue to monitor what these mean for patients and ensure the people of Rotherham are not paying the price for government failure. 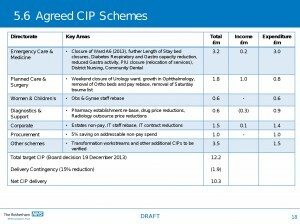 Questions still have to be asked about the cost of expensive consultants: last year the hospital made a deficit of £3 million this year, with the consultants having completed their work and left, it is forecast again to make a £3 million deficit.